The BCE 5' Rolling Lay Flat, when folded, has a handle at one end and wheels at the other to allow it to be moved effortlessly around the room and stored under the bed or sofa when not in use. This table is great value for money and it was delivered to me in 2 days. The table looks really cool and it is pride and place in my spare room. The cloth is a bit slow but it speeds up when it gets older. 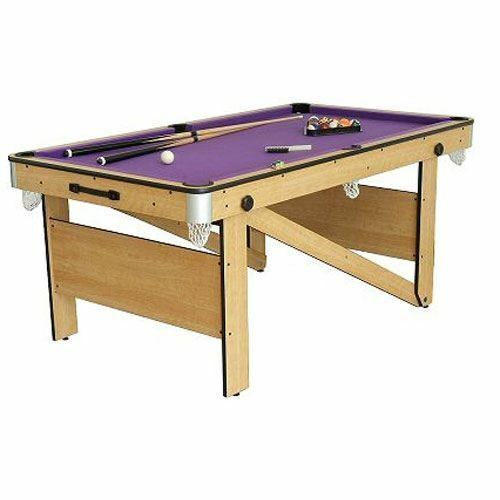 All in all i am chuffed with the table and ive had my mates round almost every weekend for games. 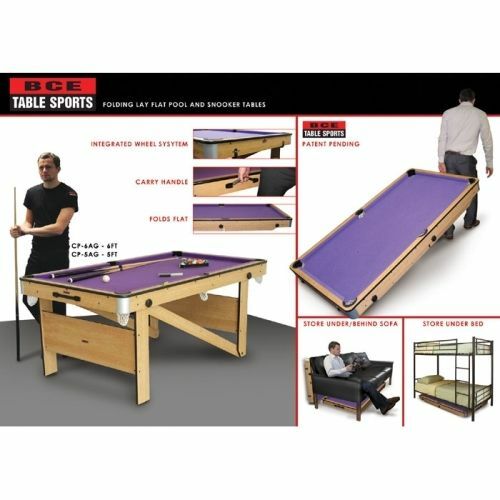 for submitting product review about BCE Rolling Lay Flat Pool Table - 5 Foot (CP-5AG).